In VLAN stacking application, when the ZXA10 C220 receives an upstream untag packet on the GPON-ONU port, it adds both PVID and CPVID (CVLAN PVID) to the packet. Step-2. Use the interface command to enter the GPON-ONU configuration mode. Step-3. 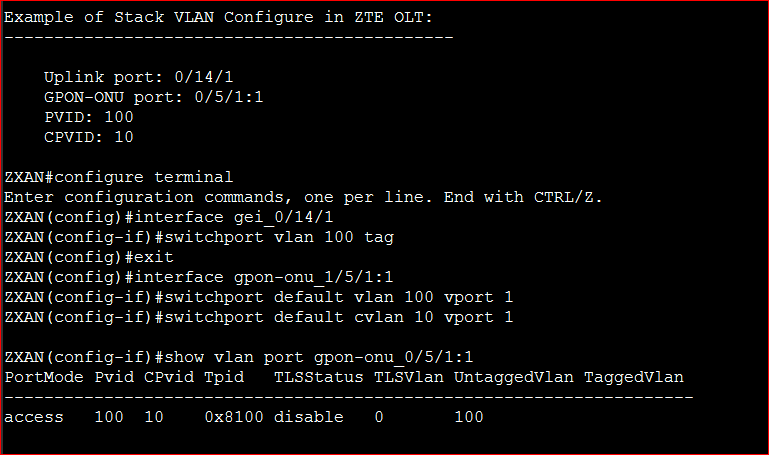 Use the switchport default vlan command to configure port PVID. Step-4. Use the switchport default cvlan command to configure port CPVID.